# 52 of 409 Retirement Villages in New Zealand. 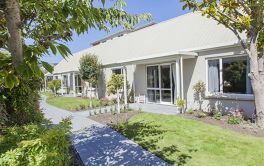 The Bupa site states that Parklands on Papanui Retirement Village, in Christchurch, New Zealand, "is now complete, with 34 comfortable and stylish apartments and a community centre, offering a mix of 1, 2 and 3 bedroom apartments, finished to a high standard. It says that the village is adjacent to Parklands Care Home and that Parklands on Papanui offers independence, community and freedom. It adds "At Parklands on Papanui, you will be able to get the most out of life, living comfortably and easily in our stylish new apartments. Our range of activities and entertainment will also offer a chance to meet people and extend your range of interests. The extent to which you participate in village activities is completely up to you � you can be as involved or as private as you choose." 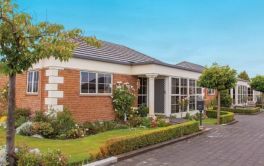 The brochure also says "At Parklands on Papanui Retirement Village you can enjoy an attractive one, two or three bedroom apartment, which is warm, light and spacious. 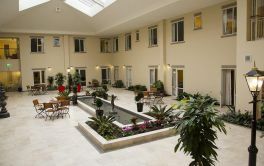 All apartments contain: Well designed modern kitchen, Open-plan lounge and dining area, Ensuite bathroom, Modern appliances including a fridge freezer, washing machine, dryer and dishwasher, oven and hob, Quality light fittings, drapes and floor coverings, 24-hour emergency call system, Heat pump/air conditioning unit and Double glazed windows. It finishes by saying "At Parklands on Papanui Retirement Village it is easy to enjoy life, because our affordable homes free you from the ties of the usual home maintenance, saving you time and money." × Have you visited this facility? Help others who are looking for a place by posting a review on Bupa PARKLANDS ON PAPANUI RETIREMENT VILLAGE or review a different facility now. Only 34 apartments, handy to mall and bus at street. We only have a manager. Living my life much as I did previously, without a big garden to care for. Having options to choose activities which fit into my schedule while still meeting up with my old friends. Not having internal access to my car which has to be out in the weather.